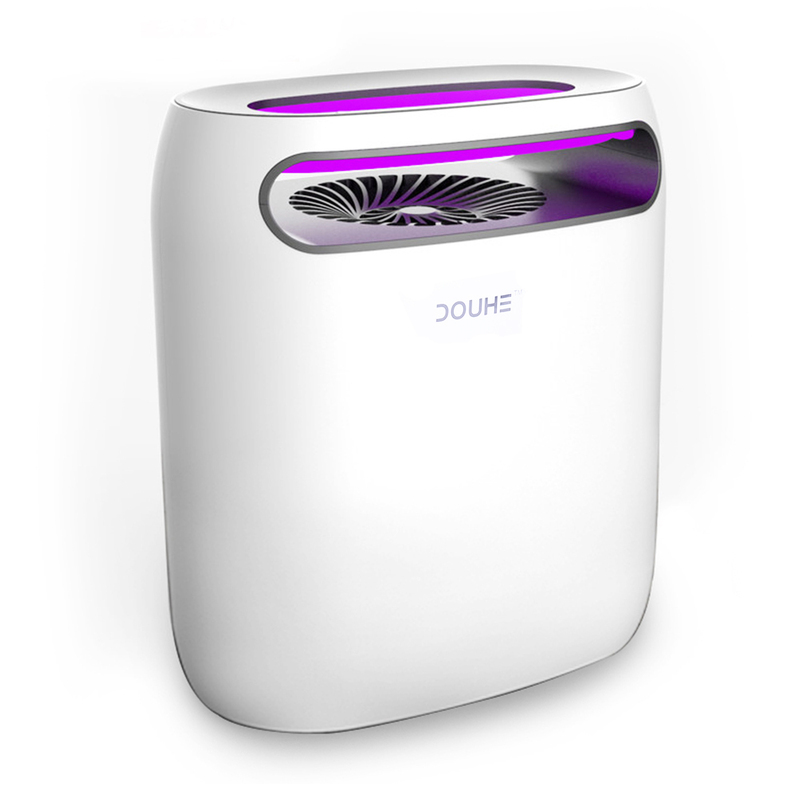 【PHYSICAL PEST CONTROL】: The DOUHE bug zapper attracts mosquitos & flies via the UV LED light and then catch them by the fan with strong suction. Completely physical, without any chemical. Very friendly for people, including babies and pregnant women. 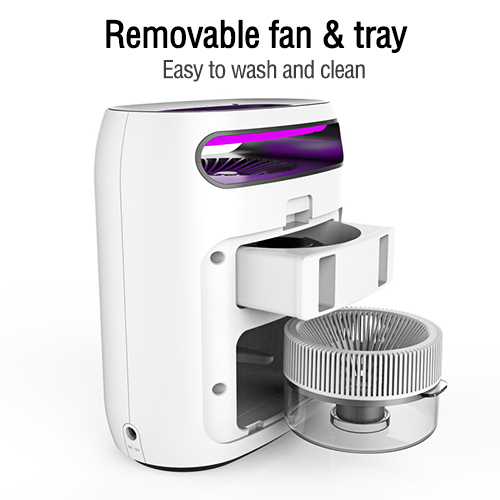 【STRONGER SUCTION,EASY CLEAN】:The UV light can lure insects and covers a large area. 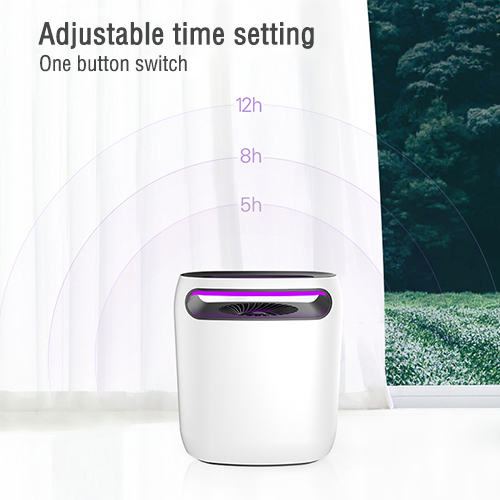 And you can change two modes: quiet and strong mode, which fits your need of having a good sleep and catching mosquitoes at the same time. You can easily take out the tray and dispose of mosquito body. 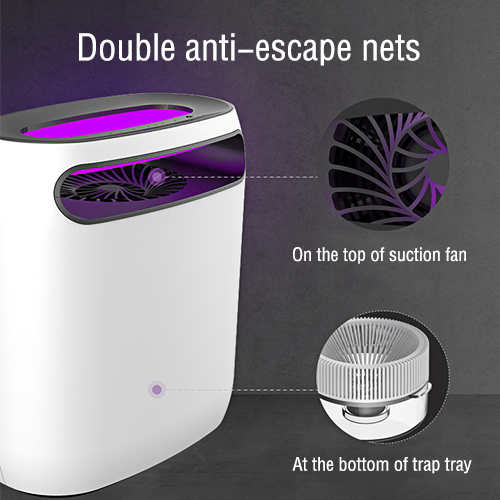 Thanks to the removable anti-escape net, cleaning is very easy. 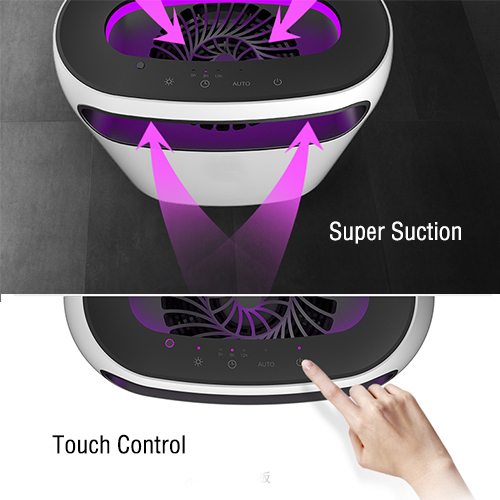 【TOUCH CONTROL, AUTO SETTING】: Touch control button allows you to adjust time setting easily. 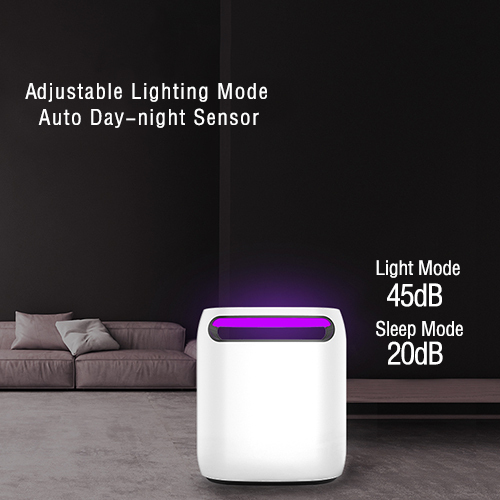 And with auto day-night sensor function, the mosquito trap light automatically turn on at night, and shut off during day. No worry that you forget to turn it off and waste electricity. 【5V USB CABLE MULTIPLE POWER SUPPLIES】: The DOUHE insect lamp is powered by a USB cable, it can be connected to the USB ports such as power bank, cell phone charger, notebook PC and any device with USB ports. 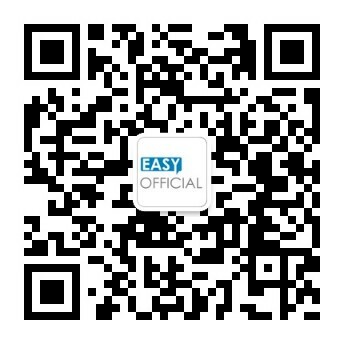 Very portable and convenient to carry away and is suitable to home, hotel and other commercial use. .▪ Works best at dark.Turn off the light or lower the brightness during use. ▪ Keep it far away from the area you occupy for mosquito prefers you than the uv light.